With every note of every song, they reflect an image of the world as you know it. A mystical, energetic interpretation of the audience, of themselves, of the universe. Each hypnotic tone brings one deeper into an ethereal shadow of all existence, and each song seems to ask us if what we see is reality or an expansive reflection of a domain that lies deep within us all." It all began 10 years ago when Ezra Mae, a songstress with a mind of her own, met The Gypsy Moon, a bag-carrying whirl of mystic energy. These souls came together and the rest is history. Along the journey they’ve picked up hitch-hikers and friends, music-makers disguised as men. As they vibe, their core mission is the creation of a new wave of soulful psychedelic rock. When you see them together, you’ll surely feel the cosmic connection they share. Philly’s #1 Spookadelic band! House Plant encompasses the cosmic essence of Funk, paired with groovy Psychedelic vibrations to bring you a musical, theatrical, and radical form of expression that will blow your mind and leave you questioning reality! House Plant isn’t a band, it’s an EXPERIENCE! This spooky group of goofsters is dedicated to two things: To raise the world’s vibration, and to spread the gospel of the Funk with their spookadelic-esoteric-funkatronic-probiotic-syncopation!! Sticks and stones can't break the funk. together, they are CAMP CANDLE. From Philadelphia, Camp Candle are bringing listeners a new wave of indietronica, with a sprinkle of hip hop. Always remember to stay lit! Riding in on a cloud of smoke, psychedelic travelers Shadow Band sound more like a foggy dream of fantastical lands than any easily identifiable set of musical choices. Their patient but powerful sounds set in motion a series of refracting echoes, conjuring up images of medieval battles, blissed-out trips and the haze of a sleep-deprived commune of heads in a state of perpetual vibing. Female fronted Neo-Soul group from Philadelphia. The Side Chicks are a talented bunch that make every experience different and unique. They are known for their improvisational instrumentation at every show, riffing off of each other, causing an energetic, ecstatic atmosphere. Each original song is an emotional experience, but be ready to dance when they drop that funky beat. 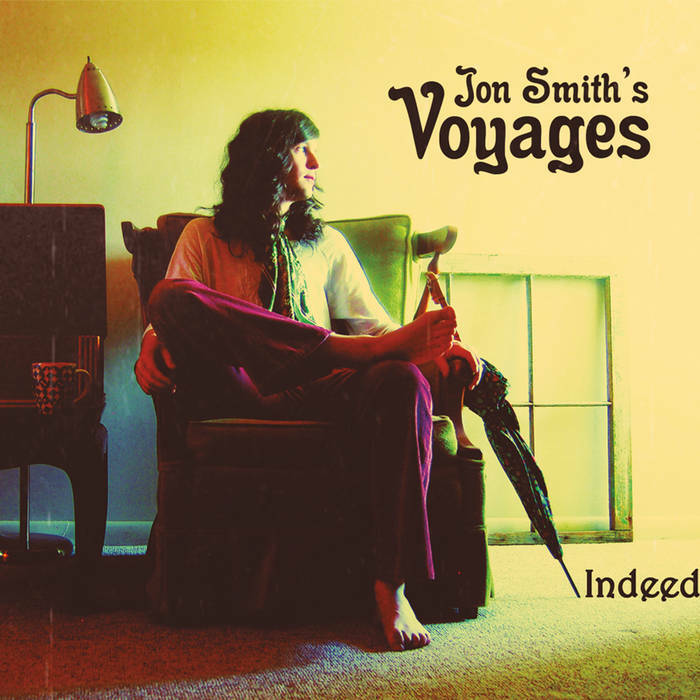 Often compared to David Bowie, Queen, and Meat Loaf, the music from Jon Smith's Voyages encompasses theatrical elementsthroughout eclectic (and sometimes quirky) arrangements. The "band" is comprised only of Jon Smith, as he sings all vocals, plays over 15 instruments, and writes all the songs. With thoughtful lyrics, unique arrangements, and a dynamic vocal range, he's likely to captivate. Philadelphia based psych trio Heaven Man have cut their teeth in the houses and basements of the Philly DIY scene and cultivated a sound steeped equally in mind bending psychedelia and energetic garage-fuzz. Their debut EP, To Yous, released in early 2019 is now streaming on Bandcamp and Spotify. With roots in the Lehigh Valley, Philly based quintet Pool Radio is bringing a fresh blend of synth pop vibes to the table. 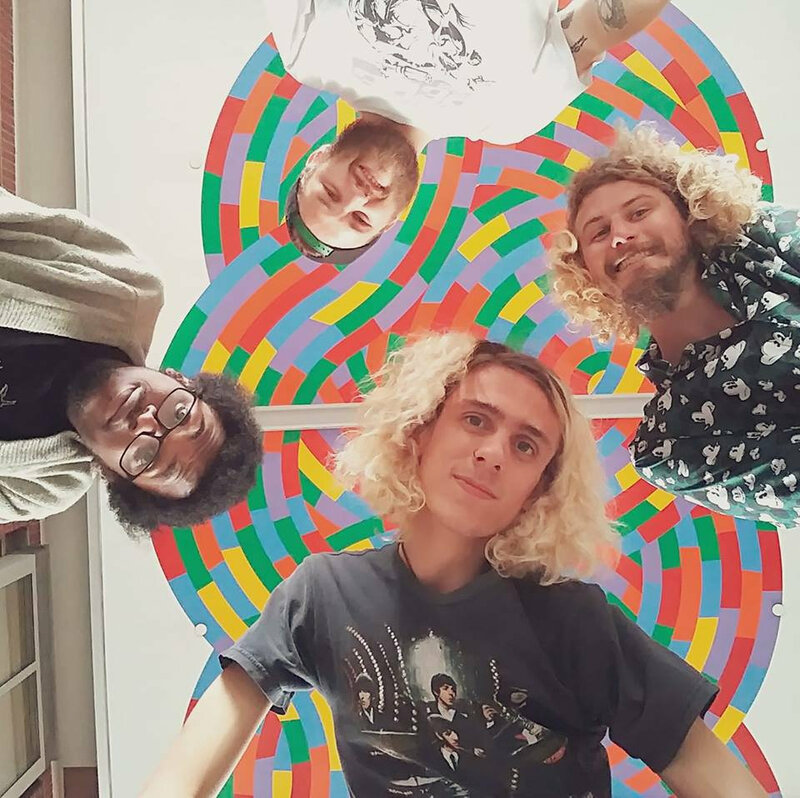 Fusing airy, computerized melodies with distant aspects of pop culture, the group seeks to create a dreamy and nostalgic experience masked behind head-bopping tunes. Tessellations have actively represented the shoegaze/dream pop genre in the Philly DIY scene since 2015. With one full-length LP under their belt and another on the backburner, the four-piece act continues to demonstrate a dynamic blend of texture and composition both in the studio and on the stage. Them Jones is a Philly-based psych rock band formed in 2014. Formed from the ashes of "Triad" and "The Shimmers," two bands that never actually existed but will for the sake of padding this bio. After forming, Them Jones released a mediocre-at-best demo called "We Got Them Jones" in 2014. 2 years later They Released their official debut, "A Mountain of Nonsense," and it's like, way better. Expansion Project grew out of the passion that longtime friends Anthony Tilotta and Matthew Silva had for creating and playing music to a live audience. After realizing that they needed a drummer in this keyboard/bass duo, the search was over in 2016 when they met Zamere Williams. The bond was immediate. The chemistry in & out of the studio was as if they have known each other for years, resulting in this inseparable power-trio who have been creating music together ever since. Expansion Project’s evolving sound mixes Jazz Fusion dynamics with Funky high energy dance rhythms that keep people on their feet! Electronic/Computer experimentation and production has recently been added to their sound, which gives this band more of a modern element then they ever had before. They take the most pride in their live performances, when creativity and raw passion for music translates into a truly unique visual & audible experience. Creating music helped OJAS feel his inner connection to his truest being through some of the toughest moments in his life. So, he performs and shares his music to share that love, growth, inner-empowerment, and ultimate expressive passion with others in its purest form - his fullest communication. At TCC Festival, OJAS will unveil and fully express his new project - a completely live performance of an emotional and dancy journey, encoded with energy healing brainwave atmospheres and in-the-moment bass warps creating the next level meditative trip.